Supreme Cleaning (Kent) Ltd are experienced in daily contract cleaning and currently carry out daily cleaning in several surgeries. 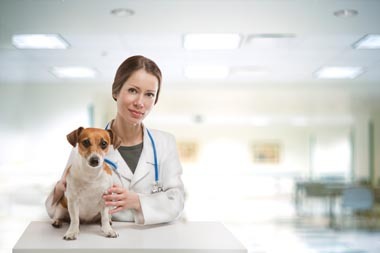 We have recently taken over a number of veterinary surgeries where practice managers have come to the conclusion that it is far easier to outsource the cleaning rather than do it in house with the worry of covering sickness, absence and holidays. When customers walk in to a surgery they want to feel reassured that it is clean and smells clean. When they are sitting in the waiting room gazing around and waiting for their appointment they don’t want to see dusty ledges and skirting boards and cob webs on the ceiling. We understand that in the surgery environment hygiene and combatting bacteria are paramount and we train our teams to ensure that they are meticulous in the cleaning back of house and also in the customer facing areas using the correct products to eliminate virus outbreaks. Our recruitment process is rigorous to ensure that we get the right person in place. We carry out a comprehensive induction with every cleaning operative to ensure they understand the importance of the storage and usage of chemicals as well as the best techniques and equipment to achieve the best results with attention to detail. Every 4 to 6 months we like to have a review meeting with our customers to review the spec and see if there is anything else that can be included. However there is always somebody available to deal with any queries or bespoke requests are customers have. For example we can provide discounted quotes for scrubbing and deep cleaning of floors and upholstery cleaning of waiting room chairs. We can also periodically clean internal windows should there be a need. “We have used Supreme Cleaning Services as our contract cleaner since December 2007. They are responsible for cleaning our busy Perry Street surgery on a daily basis, completing the cleaning before we open for business each day. The cleaning of our clinical and public areas are always to the high standards that we would expect to maintain our reputation.